Colin Kaepernick is suing NFL team owners he believes are conspiring not to hire him because of his protests against racial injustice. The 29-year-old has been without a team since he opted out of his contract with the San Francisco 49ers in March. 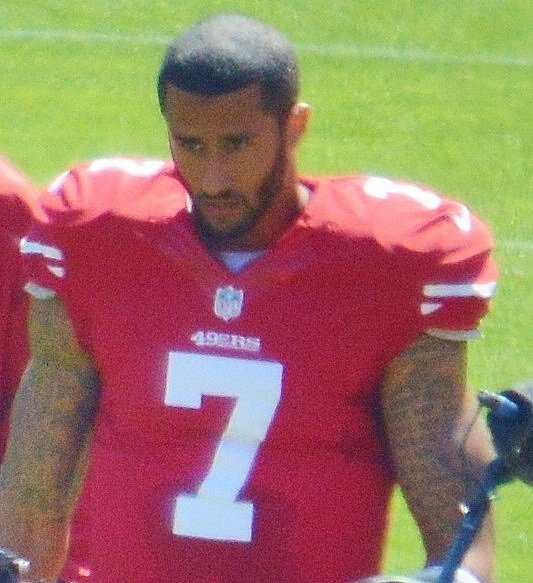 Colin Kaepernick first protested by sitting during the national anthem in August 2016, before opting to kneel instead. Other players followed suit, and criticism from President Donald Trump this September saw the protests spread. In a statement released on October 15, Colin Kaepernick’s lawyers wrote: “We can confirm that this morning we filed a grievance under the CBA on behalf of Colin Kaepernick. “This was done only after pursuing every possible avenue with all NFL teams and their executives. “If the NFL (as well as all professional sports leagues) is to remain a meritocracy, then principled and peaceful political protest – which the owners themselves made great theatre imitating weeks ago – should not be punished and athletes should not be denied employment. “Such a precedent threatens all patriotic Americans and harkens back to our darkest days as a nation. Protecting all athletes from such collusive conduct is what compelled Mr. Kaepernick to file his grievance. Some players from the 49ers again knelt during the anthem before their match on October 15. They were playing for the first time since VP Mike Pence walked out of their game in Indianapolis, after several members of the team did not stand.